Joel Carlson is an Associate Attorney at Eims Graham who specializes in building strong, collaborative partnerships with his clients to achieve the best possible outcomes for workers’ compensation claims. With nearly a decade of experience administering complex time-loss workers’ compensation claims for self-insured employers in retail, construction, grocery, and healthcare prior to attending law school, Joel has a thorough understanding of the challenges employers and claims administrators face when seeking just results for their claims. He believes an attorney should be responsive to the client’s needs and he endeavors to uphold the integrity of the workers’ compensation system through professionalism. 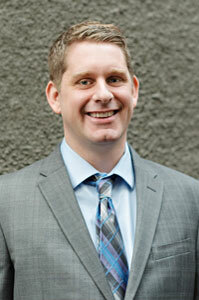 Joel is a member of the Washington State Bar Association and the Washington Defense Trial Lawyers Association. He graduated from Eastern Washington University and received his Juris Doctor from Gonzaga University School of Law.